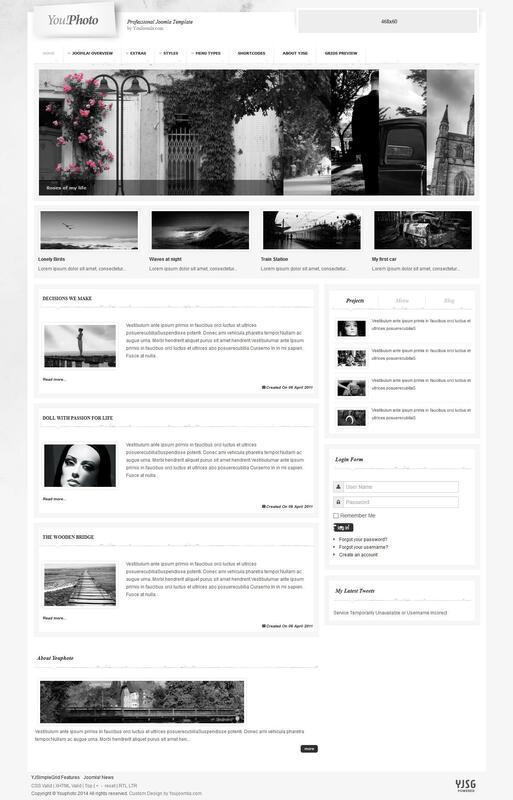 YJ YouPhoto - beautiful pattern for design or photos from the studio YouJoomla. Uses a simple layout with beautiful typography, design, combined grunge and 3 gentle color styles. Consisting of native modules YJ Accordion News Slider and YJ Latest Tweets. SEO template uses functions in all modern browsers, has 52 module positions, 3 unique style CSS, smooth dropdown menu, split menu, the compression on the server side, additional printing styles, adjustable width.